This No Bake Lactation Bites recipe is easy to make, delicious, and has three galactagogues to help you boost your milk supply! 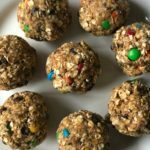 This no bake lactation bites recipe was inspired by these energy bites from Bless this Mess! I just made a few tweaks to “lactify” them by adding additional galactagogues, and they turned out great! 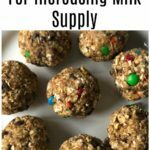 I love the idea of lactation cookies that are EASY – no need to haul out the electric mixer or use the oven for these. All you need is a bowl! You just add all of the ingredients, mix them together, let the dough rest for a bit, and roll them into balls. Do lactation bites work for increasing milk supply? 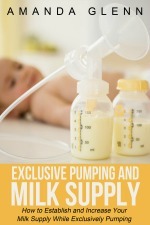 Breast milk supply isn’t straightforward, and what works for one woman might not work another. Some women see a supply boost with fenugreek; others see no change. Some women swear by Gatorade; it does nothing for other women. My thinking – this recipe has oats, brewer’s yeast, and flax seed, and these galactagogues boost supply in some women. Since nothing is certain to work, what’s the harm in trying something delicious and relatively inexpensive that your whole family can eat (and maybe get a supply boost at the same time)? Can I use all M&Ms or all chocolate chips? Yes! You can use either or both, with whatever ratio you prefer. Does it matter what kind of oats I use? Rolled, old fashioned, or quick cooking are fine. I would not recommend steel cut oats (just because of texture, not recipe effectiveness). What if I don’t have brewer’s yeast? Do I have to make these lactation balls with brewer’s yeast? Brewer’s yeast is easiest to get off of amazon or in a health food store. I totally understand not wanting to invest it a huge bag of it for one tablespoon in a recipe, and that’s fine. You can use 3 tablespoons of flax seeds instead of 2 tablespoons of flax seed and 1 tablespoon of brewer’s yeast in this recipe. Can I use a different kind of nut butter? Yes, you can use any kind of nut butter (almond butter, sun butter, etc.) that you like, though it will change the taste of the lactation bites. How should I store these? 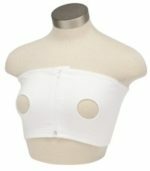 Can I freeze these lactation balls? You can store the rolled balls in the fridge up to for a week. 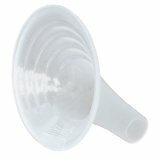 To freeze, put the rolled lactation bites onto a plate or other flat surface to freeze individually; then transfer to a storage container. They should be fine in the freezer for 1-2 months. 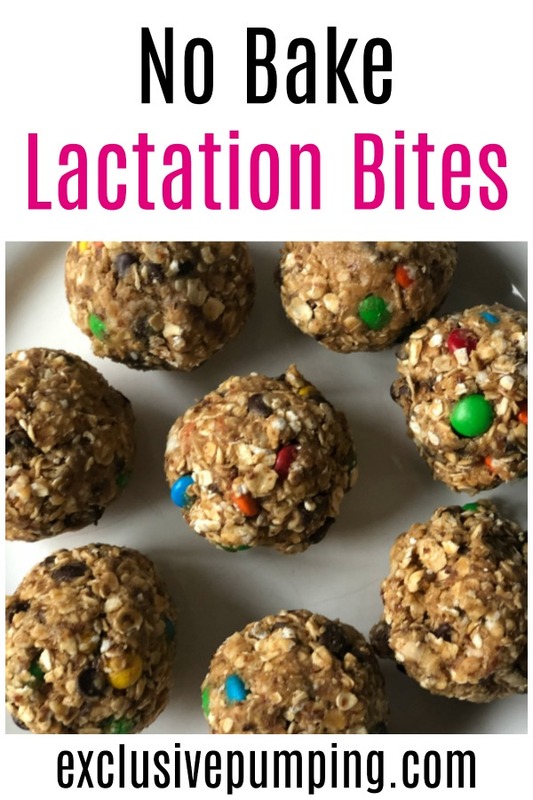 These No-Bake M&M and Chocolate Chip Lactation Bites are delicious, easy to make and have three milk boosting ingredients - brewer's yeast, oats, and flax seed! Lactation cookies without having to use the oven! 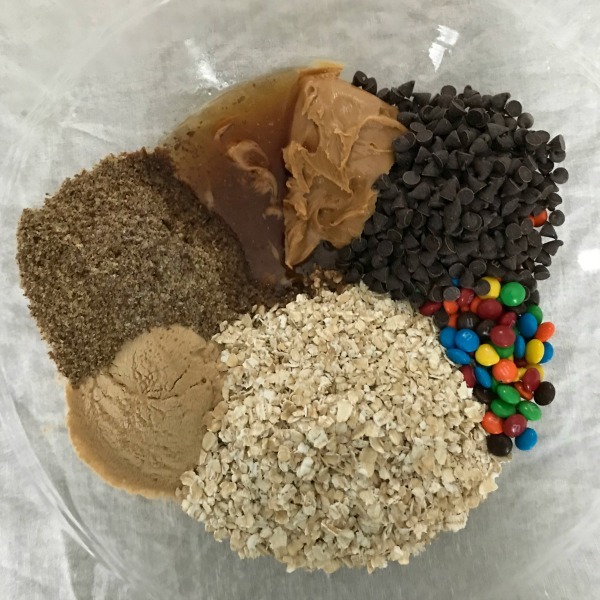 Put all of the ingredients in a bowl and stir together until well mixed. Cover the mixture and put it in the refrigerator for at least an hour. Remove from the refrigerator and roll dough into 1 inch balls. 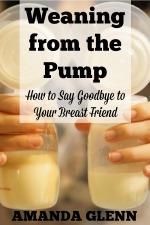 Store lactation bites in the refrigerator for up to a week.